Raising a family and balancing an entire household while attempting to work or spend time away from the home can quickly become daunting and overwhelming, especially if you are not comfortable leaving your family to fend for themselves throughout each day. While being a mother is a full-time gig, it is important to take time for yourself to avoid missing out on potential opportunities that are extremely enjoyable and fulfilling for you personally. Whether you have always had dreams of running your own business or if you have a hankering for getting back into the workforce despite a growing family, working as a mompreneur is possible with the right idea and a concentrated dedication to getting the job done right. Before you can begin working as a full-time mom entrepreneur, it is important to consider the types of hobbies and activities you consider passions in your life. What hobbies or activities are a source of joy to you, providing you with a sense of fulfillment and achievement? Do your hobbies require you to get a bit creative while developing the final result of a project you are working on? Is there always room for improvement with your passions and hobbies? Is it possible to incorporate your preferred hobbies and activities into a realm that is successful and capable of generating revenue? Once you have a clear understanding of your preferred hobbies and activities that are most suitable for generating revenue, spend time learning more about the current market for the industry of your choosing. Research competitors and top companies in your preferred market to learn more about the products and services that are most relevant to the type of business and brand you envision for yourself. As a mom, it can feel extremely challenging to leave the sides of your children each day to focus on an entrepreneurial venture of your own. However, dedicating time for just yourself each day is imperative when you have a goal of working as a successful mompreneur. Set aside time each day to solely focus on achieving both short and long-term business goals you have set in place. Ask your partner or a family member to keep an eye on your children if you have toddlers or babies in the home who require constant monitoring and attention. Take time to work in a designated office space in your home or travel to a nearby coffee shop for a peaceful and less distracting work environment. In addition to keeping track of the schedules of all members of your household, it is important to implement free time and time to work for yourself. Setting your own schedule is equally as important as managing the schedules of your children, especially once you begin to take your business idea seriously. Choosing the type of business or venture you want to run is tricky, especially with so many mommy blogs and mompreneurs becoming more prevalent in today’s culture. In order to truly stand out with your new business as a mompreneur, solving a problem for your target consumers is a must. Before you choose the type of inventory, services, or content you want to provide for your consumers, consider the need you are fulfilling and the problem you are solving to your target audience and demographics. Once you have chosen a niche to work in based on your hobbies and its current profitability, spend time researching the top competition you are likely to encounter in the current marketplace. Getting to know more about your top competition is a way to create products, services, and marketing campaigns that resonate most with your target audience. Research and compare the official websites and eCommerce storefronts of your potential competition to review the layout and setup of each site you visit. As a mompreneur, developing your brand is a must to stand out from your competition while setting yourself apart in highly competitive markets. Developing your brand is more than simply choosing a logo and a basic color theme for your business. Your brand’s logo is the first element an individual notices when researching your business online or discovering you on social media. Your brand’s logo and chosen color scheme should tell a story or share a mood while conveying an instant message to those who view it. You only have one opportunity to make a positive and lasting first impression with a well-designed logo and proper branding in place. Even if you have yet to generate any leads or sales with your new business venture, creating your own official blog and website is highly advisable. Having your own blog and official website provides you with additional platforms to connect with visitors, loyal readers, and prospective customers. Registering an official domain provides you with a unique method of communicating with individuals who have a genuine interest in following your business ventures and learning more about your current business ideas. Use Godaddy to purchase a URL for around $10/year. I would suggest using WordPress to have a website platform as it’s free and very good for SEO. Additionally, having an official website URL is a way to appear more professionally when appealing to new prospective clients, customers, partners, investors, and business associates as you continue to expand your network as a new mompreneur. Social media has become a preferred method of building an audience and a sense of community among followers for solo entrepreneurs and massive corporations alike. Using social media platforms such as Facebook, Instagram, Twitter, and Pinterest are all optimal when you begin working as a mompreneur. In some cases, using apps skewed to a younger age such as Snapchat is also advisable to keep in touch with followers while providing live updates and driving more traffic and potential leads to your website. Use social media to keep your followers informed of current products in the work, your latest product releases, and even news that is relevant to the growth and expansion of your business. Share personal updates and positive messages that resonate with the demographics of your followers. In addition to using social media to promote products while sharing content and promotions for your website, social media can be utilized as an excellent communication tool. Connect with your social media followers by answering questions, responding to inquiries, and providing a professional response to any negative criticism you receive using your public page. Showcasing transparency is a great way to build the trust of followers while showing prospective customers that you genuinely care about their wants, needs, and concerns when it comes to your business and brand. Cultivating a sense of transparency among your followers and building a good rapport with your potential customers is a great way to work successfully in even the most competitive markets. Attend relevant business and networking events in your local area to meet other mompreneurs and business owners in similar markets as you. Connect and network with professionals in your industry to create long-lasting business relationships that may come in handy in the future. Attending networking and business events is also a great way to stay updated with the current trends in your market, allowing you to stay ahead of the curve with your marketing campaigns and newest product developments. Always minimize your distractions while you are working, even if you are a mother to multiple children. Dedicating time away from home to work on your business plan or inventory list is a way to focus on your tasks at-hand without feeling overwhelmed and distracted by your children at home. Along with finding time for yourself to work on your venture, it is also important to minimize the distractions of tech devices such as smartphones and tablets. Turn off the volume of your phone and tablet device while you are working to prevent the temptation of checking your phone while you are in the middle of working. Minimal distractions are necessary to maximize your production when working towards becoming a successful mompreneur. Decompressing and spending time away from tech and smartphone devices each day is highly recommended for all entrepreneurs. 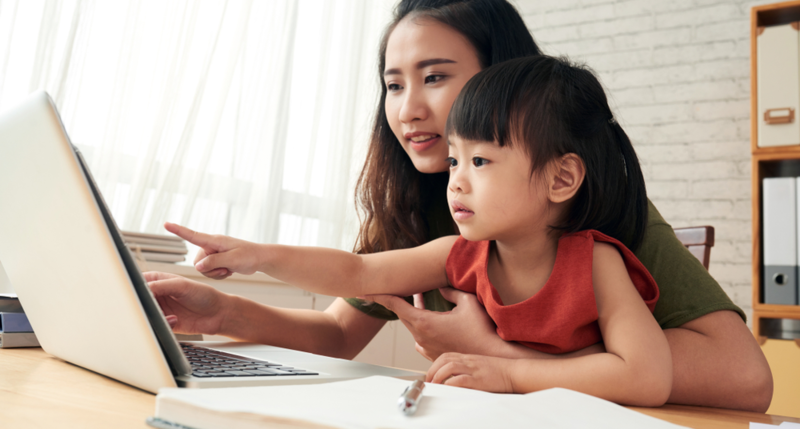 As a mother, you may feel tempted to always remain “plugged in”, especially when you want to keep up with the latest parenting trends and tips to follow. Decompressing and spending at least an hour each day away from tech altogether is a way to rest your brain while minimizing neurotic feelings and excessive stress. Taking time away from tech also provides additional free time to spend with your children and the entire household while you are all free from distractions. One of the most important elements of growing a successful business is to do so by paving your own roads and paths in business. Rather than constantly comparing yourself to the achievements of others, stick to your own goals and remain focused on the growth and scalability of your current business. Avoid comparing your business model and the way you conduct business with your competition if your current methods have resulted in success. Paving your own path as a business owner is a great way to stand out as a mompreneur, even if you are working in a highly competitive industry. Living life as a successful mompreneur is not always achievable overnight, even if you have a genuine passion for the products or services you wish to provide to your customers. Working full-time as an entrepreneur in any market is extremely demanding and time-consuming, especially when you are just starting out for the first time. With enough motivation and a commitment to expanding your idea, outshine your top competitors while solidifying your place as a professional mompreneur in any market or industry you desire. This entry was posted in Entrepreneurship, Solopreneurship. Bookmark the permalink. Tyler Horvath is the CEO of @Tyton_Media and the owner of The Solopreneur Institute. With over 15 years in digital marketing experience, Tyler has grown several 7 figure businesses using digital marketing. The Solopreneur Institute is your #1 source to learn how to become a successful Solopreneur.